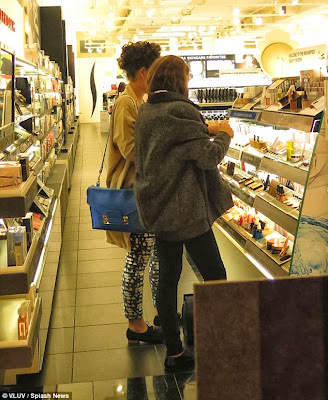 It looks like the make-up reserves are running low for former Lancome model Emma Watson who was spotted shopping for cosmetics on Tuesday. 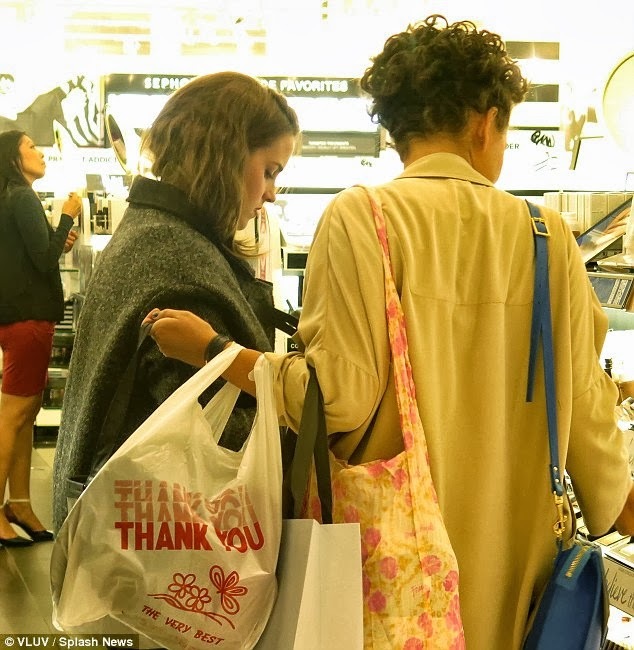 The 23-year-old looked casual as she browsed the shelves at Century City's Sephora store in Los Angeles, accompanied by a friend. 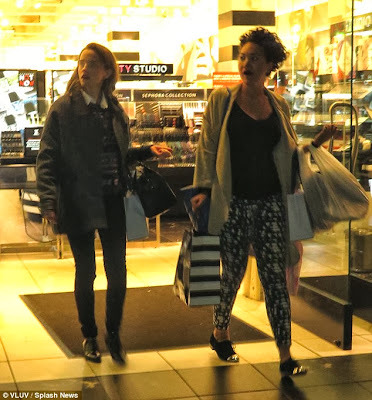 The Bling Ring star looked inconspicuous as she carried a number of shopping bags, which suggested her evening outing had been a successful one. Dressed in an oversized grey coat, which hid the star's slim figure, Emma wandered about the shops before stopping to pick up some make-up. The brunette beauty, who has modelled for Burberry in the past, also wore plain black skinny jeans and matching patent brogues. Emma kept her hair down over her shoulders, which she now appears to prefer in a longer style after going for a very short, elfin crop in 2010. While her companion, who had even more bags than her famous friend, wore an eye-catching pair of trousers and a beige, loose-fitting jacket. The actress, who has studied at Brown University in the US and as a visiting student at Worcester College, Oxford, was rumoured to have signed a six-figure deal when she became an ambassador for the French beauty brand two years ago. The star was recently voted the sexiest actress in the world in a poll carried out by Empire Online, topping the bill alongside fellow-Brit Benedict Cumberbatch. She was spotted looking much more glamorous earlier this month, when she attended the Gravity premiere in New York City, wearing an off-the-shoulder white dress and metallic heels.